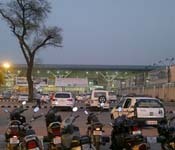 The Chandigarh airport is said to be considered one among the most important airports of India. Construction of an International terminal is also under progress.as many as nineteen national flights are housed by this airport. There are many different amenities obtainable at the airport. All these facilities have been recorded as per the year 2012. Companions can enter the airport at a minimal fee of rupees thirty but cannot venture beyond the security gates. They are restricted to an air conditioned hall with an eatery. One can make use of the canteen if one goes further from the parking space. There are services available for the young and the aged- wheelchairs, medical facilities, prams etc. There is also provision of medical assistance. Various banks have their branches or ATM’s there. Perfect for the tourists, the book shops or the souvenir shops help them in taking back little mementos from this country as an affordable price. There is a special assistance for the handicapped, disabled or the aged. 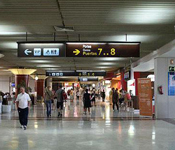 The developmental works include constructing a terminal for international flights. This will be constructed near the Air Force campus. Supplementary extension of the national terminal is also under progress. 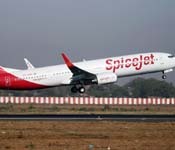 The runway will be extended such that bigger passenger aircrafts can be handled by it. By January 2012 the construction work for this project has already begun. Bus: the distance between the bus stand the airport is around nineteen kilometer. One can easily avail of a taxi and come to and fro from the bus stand. Rail: The distance between the airport and the railway station is around thirteen kilometer. Any bus or taxi would drop a person to the railway station.